These rewards can take several forms. Some give you frequent flyer miles or hotel upgrades. These rewards can be very useful. One of the ways a credit card company gets people to apply for a line of credit with them and not their competitors is by offering credit card rewards. These rewards can take several forms. Some offer cash back, while others give you the option of ordering a gift card once you’ve accumulated a certain number of points. Some give you frequent flyer miles or hotel upgrades. These rewards can be very useful. However, you may not understand everything about these rewards up front. Here are the five things you must know about using credit cards with rewards. One of the ways credit cards keep you in debt is by offering you rewards. You’ll be tempted to use your card more often so you’ll wrack up more credit card rewards. However, this might lead to two things: first, you’ll be paying a lot in interest unless you pay off your balance every month, and second, this amount of interest may be a larger amount of money than you make back in your rewards. You might think you’re coming out ahead by earning a lot of rewards, but you may actually be paying the credit card company a lot of money in interest, instead. If you don’t read the fine print, you may not realize that you might not earn rewards from every purchase you make. Some purchases made at small businesses may not be eligible for rewards points. Some cards may advertise you will earn five points on purchases, but the fine print might state that you only earn five points on specific purchases—you only earn one or two points on all others. So be sure you understand the terms of your credit card’s reward program. It’s important you know how to use your credit card to earn rewards before you start spending. If you sign up for a credit card that has an annual fee, think about how much money in rewards points you’ll need to earn to make back that fee. Then figure in the money you’re paying in interest. Suddenly, it may not seem like such a great deal. Annual fees are often automatically charged directly to your account, too. This helps increase your credit card debt and gives the company even more principal to use in calculating your monthly interest. Some credit cards with rewards fail to mention that reward points expire after a certain amount of time. If you’re not using your card a lot or are only using it for small purchases, you may not build up enough points to cash in for rewards before some of the points you earned early on expire. 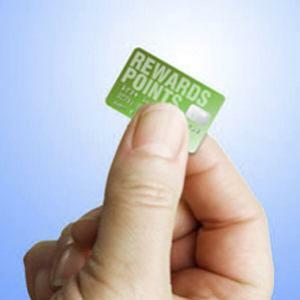 Some people may not even know how many points they have, if they should redeem them as soon as they can, or if they should hold on to them for better rewards. The problem is that if they do expire, trying to save them for bigger rewards usually means you lose a lot of points. A number of rewards credit cards offer items like televisions or things like free airfare or lodging. However, if you convert the points over the actual dollar values, you’ll most likely discover that you can pay for the item out of pocket for much less. If something costs 100 points and you earn a point for each dollar you spend, it costs $100. If you’re trading these points for something you know you can buy for $50 at a store, you’re certainly not getting a good deal. On the other hand, a number of credit cards allow you to exchange points into gift cards. You may be able to redeem 50 points for a $50 gift card and use it to buy the product from the store. As you can see, credit cards that offer great rewards may have some traps hidden in their fine print. Be sure to read over every little detail of their rewards program before you fill out the application so you don’t get in over your head. The biggest danger of a rewards program is making a lot of purchases on credit instead of using cash or your debit card just so you get the rewards points. This can often lead to getting into more debt than you planned which, in turn, can mean you are unable to make payments on time. You might also be tempted to open several credit card accounts, which might make it more tempting for someone to attempt stealing your identity. You will definitely want to regularly monitor credit scores and double-check all of your statements to make certain all of the charges are yours and that you receive points for all eligible purchases.